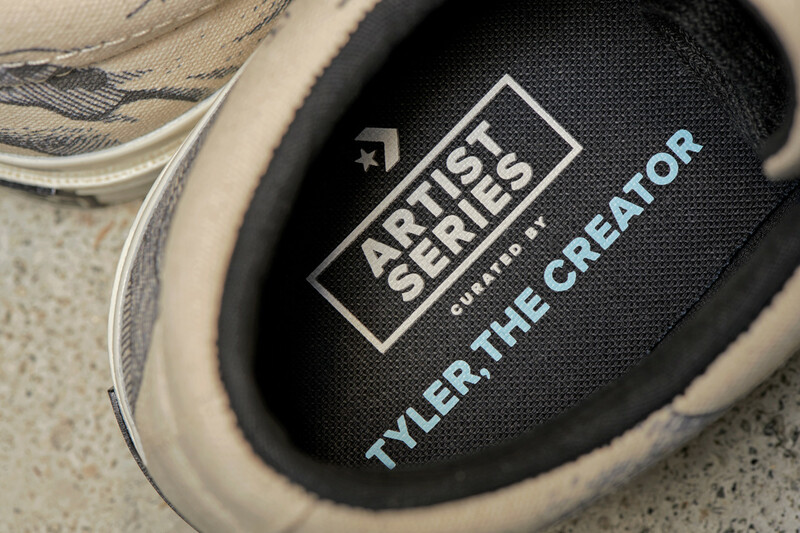 You may know that rapper Tyler, the Creator has a longstanding design history with Converse. 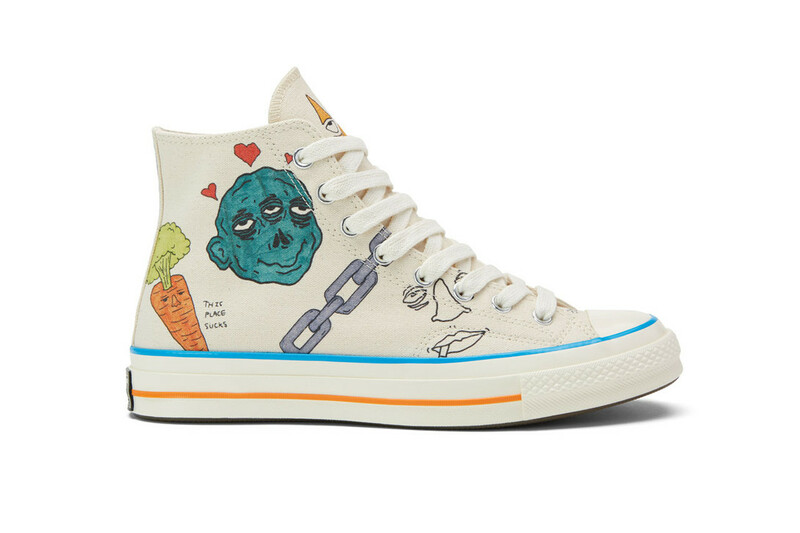 The recording artist, 27, has released several custom shoe designs and apparel collections over the past few seasons alone. 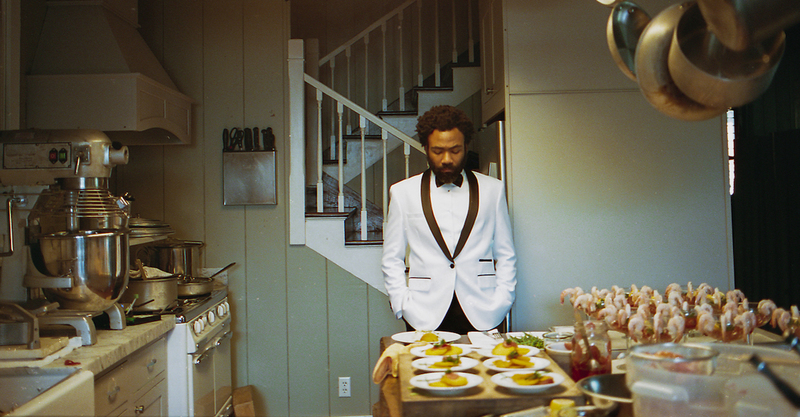 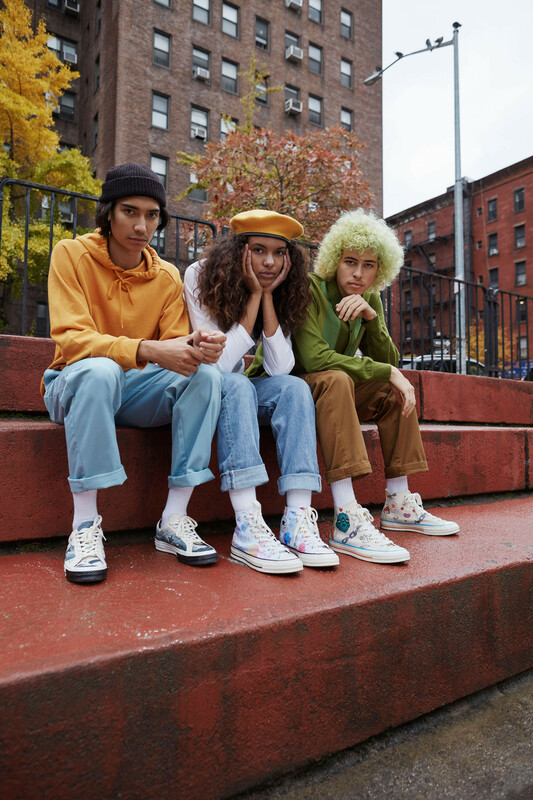 Now, Tyler, the Creator has helped launch the latest Converse Artist Series – a curated collection created in collaboration with artists Wyatt Navarro and Øyvind Lauvdahl. 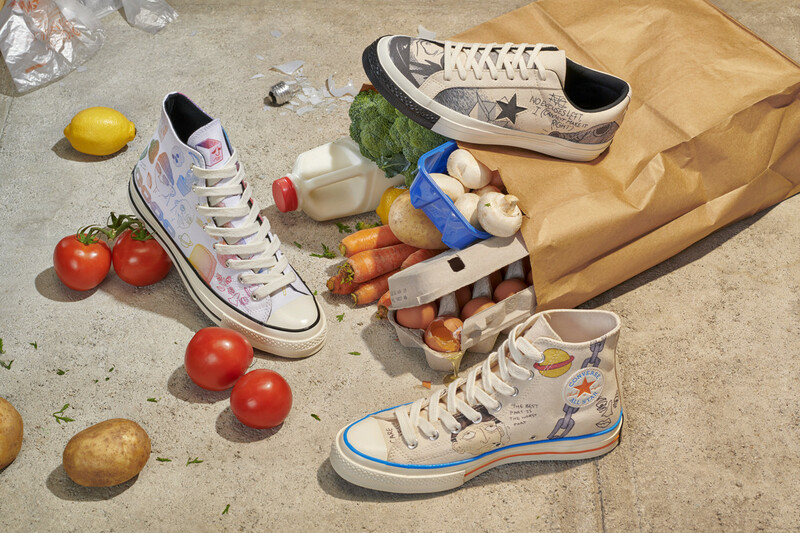 This trio of special collector’s edition kicks come in two styles, including a high top and low top option. 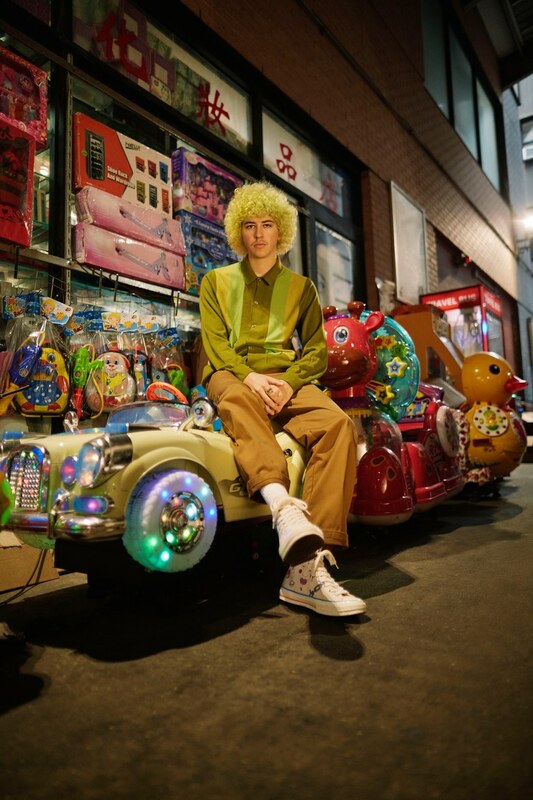 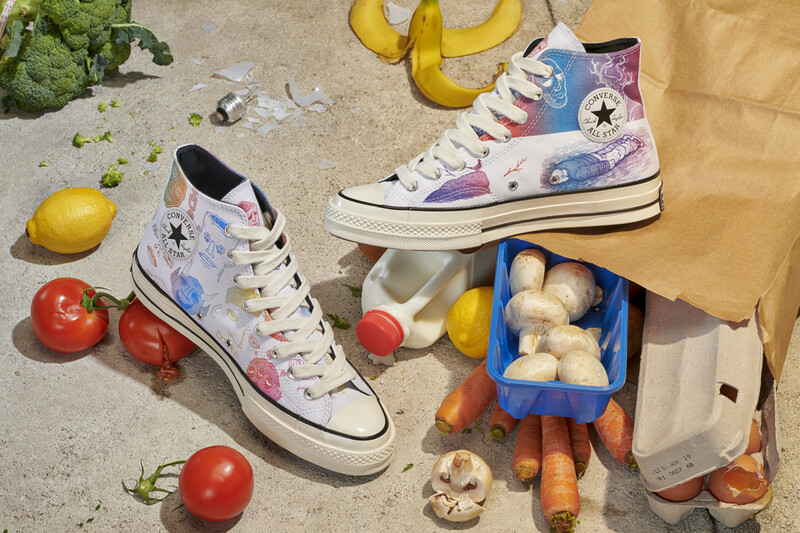 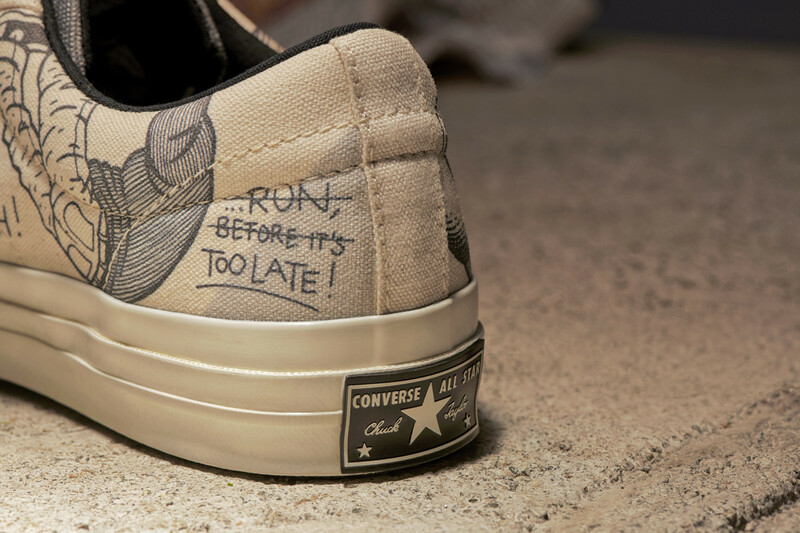 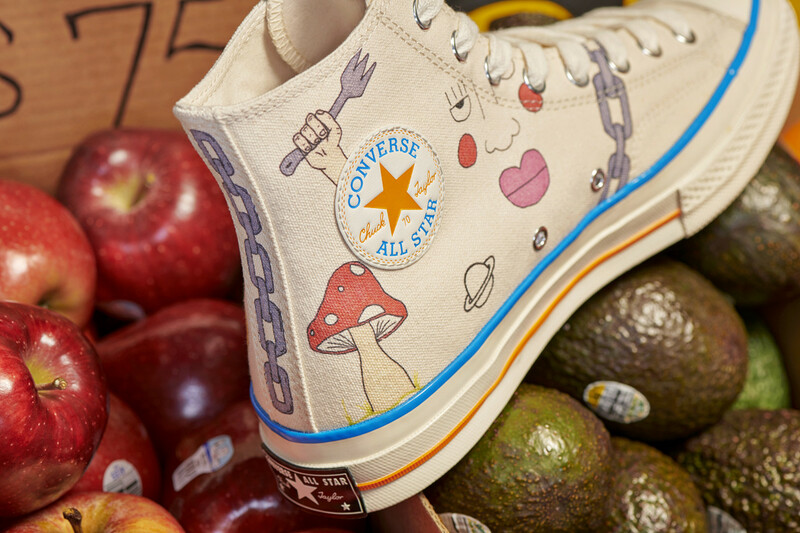 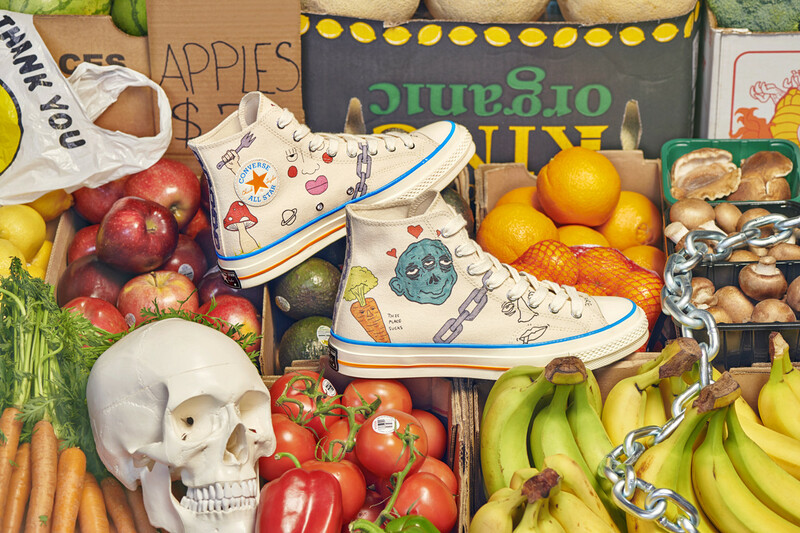 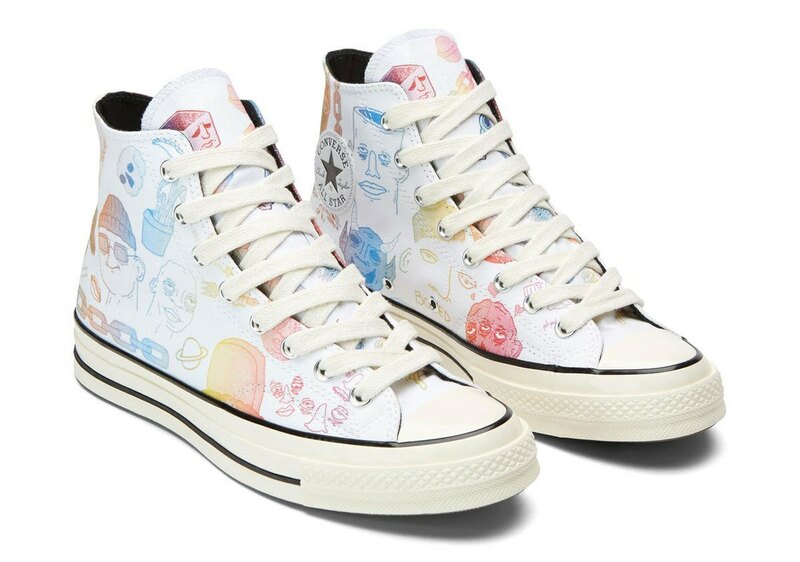 Tyler’s friend Wyatt Navarro, 21, has created classic Converse All Star shoe designs that are as colorful as they are creative, filled with small drawings of faces, planets, veggies, and more on cream-colored canvas shoes. 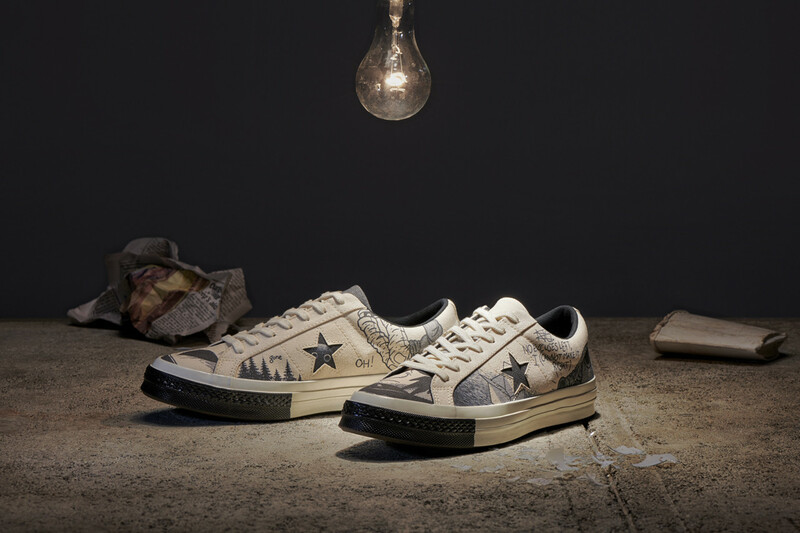 Norwegian artist Øyvind Lauvdahl has created a One Star designed with black-and-white sketches that are inspired by the winter scenes in Norway. 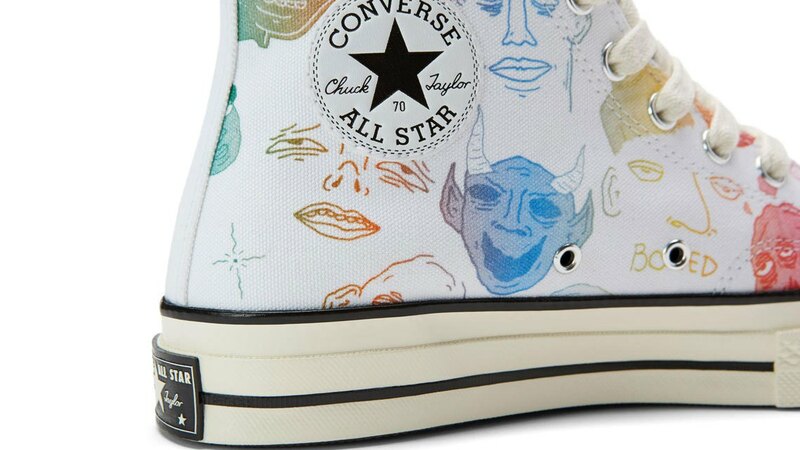 Both Navarro and Lauvdahl also teamed up to co-create a pair of White Chuck 70 shoes covered in rainbow designs that merge both artists’ signature aesthetics. 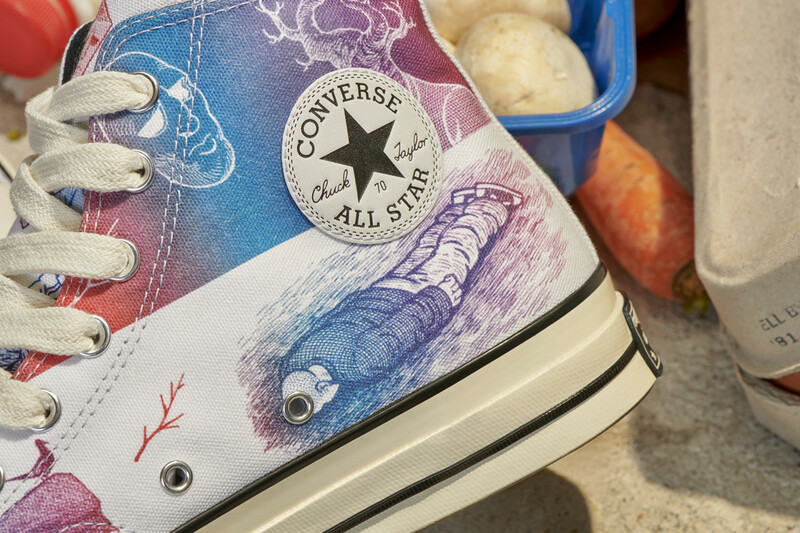 It’s like a collaboration within a collaboration – and a once-in-a-lifetime type of artwork. 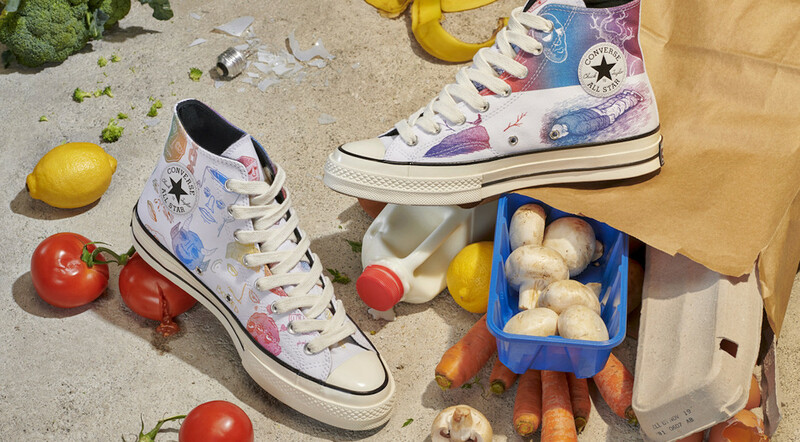 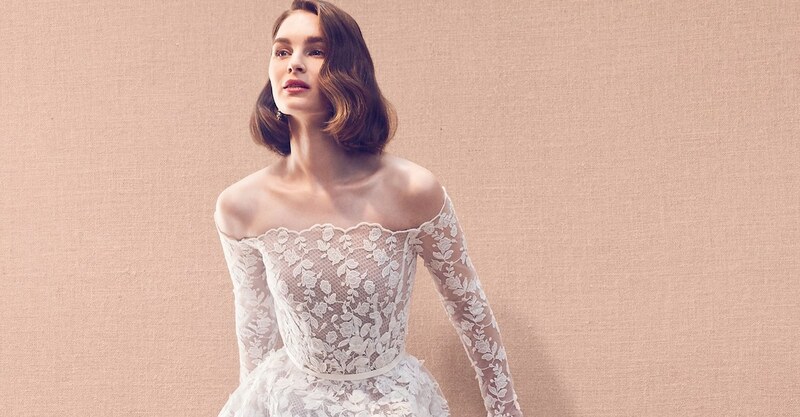 All of these designs remind us of those childhood days where we’d feel compelled to doodle all over our crisp white kicks – just all grown up with captivating, and statement-making art. 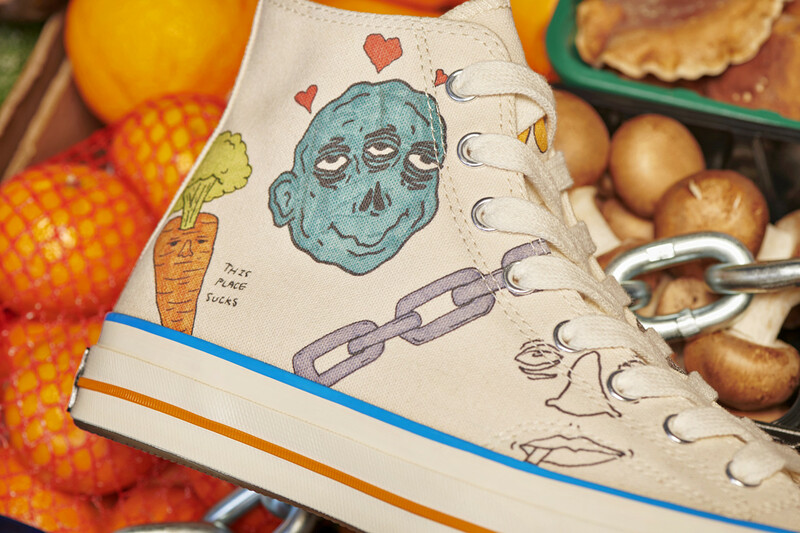 Click through the gallery below to view styles from the Tyler, the Creator x Converse Artist Series. 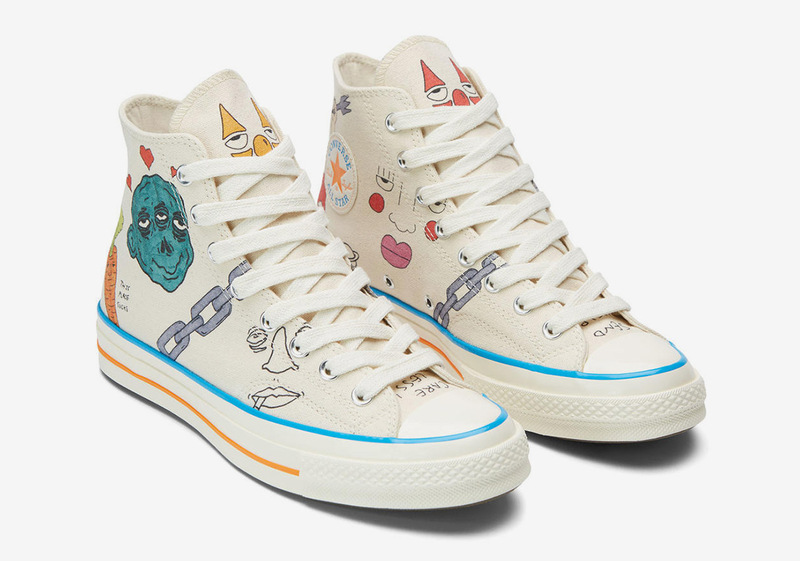 This Tyler, the Creator x Converse Artist Series will be releases on November 26 online and at select Foot Locker locations. 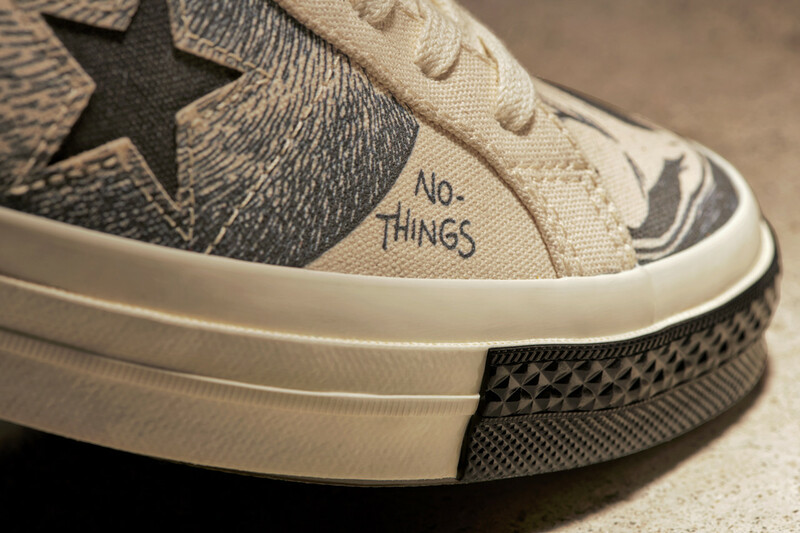 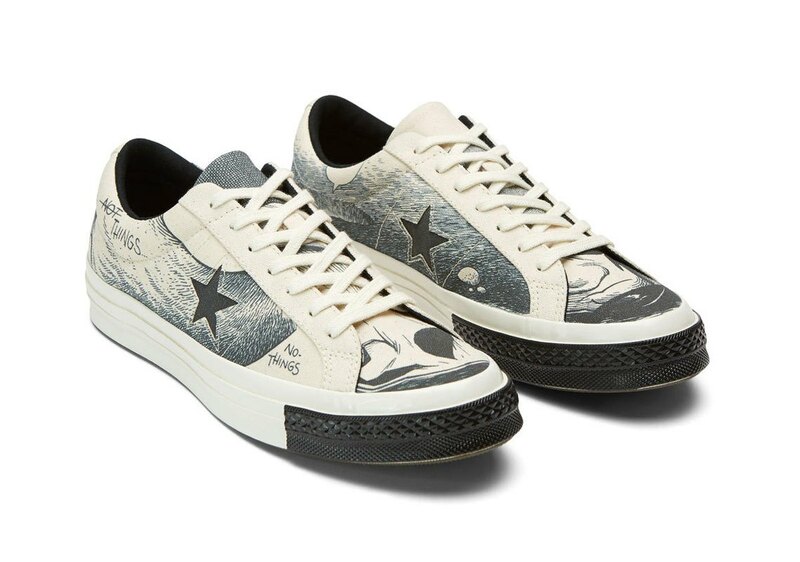 More from the Converse brand. 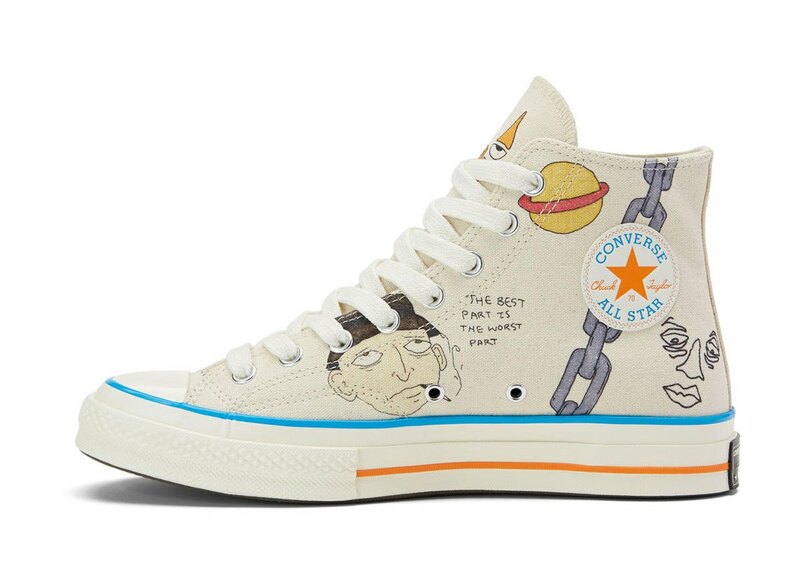 More style news from Tyler, the Creator.